On 20 March Brussels’ convention centre, SQUARE, celebrated its 60th anniversary in the presence of the Deputy Prime Minister, Minister of Foreign Affairs, Didier Reynders, Karine Lalieux, Alderwoman for Tourism for the City of Brussels, Professor Jean-Louis Vincent, President of the Symposium on Intensive Care Medicine, ISICEM, Patrick Quinet, Co-President of the Delvaux Academy, and Ariane Deguelle, CEO of SQUARE. The speakers pointed out the key role it has played for over half a century in the economic growth of Belgium, and of Brussels in particular. 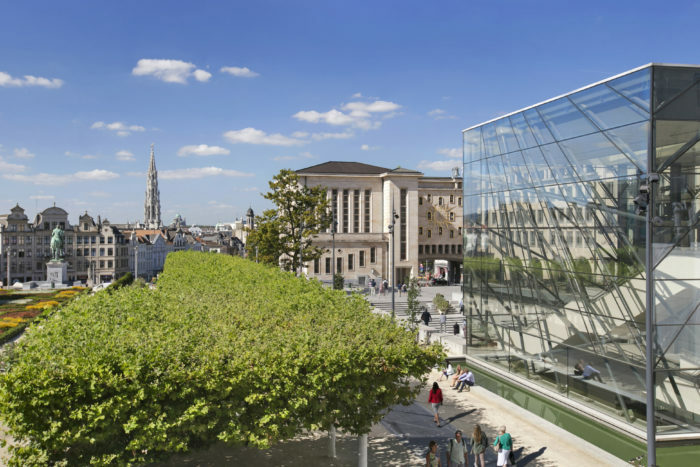 Founded for the 1958 World Expo, SQUARE-Brussels Convention Centre was only one out of two in its kind worldwide and has welcomed over the years heads of state, intellectuals, scientists, economic players and artists who have taken the opportunity to disseminate knowledge. Its conveniently central location was pointed out by Professor Jean-Louis Vincent while its unique architecture and inspiring art were celebrated by Mr Patrick Quinet when talking about his experience during the event held there by Magritte du Cinema. Finally, the new name – it used to be referred to as SQUARE-Brussels Meeting Centre – and logo were announced as well as the decision to task its development unit with making the centre more attractive to the Chinese market.